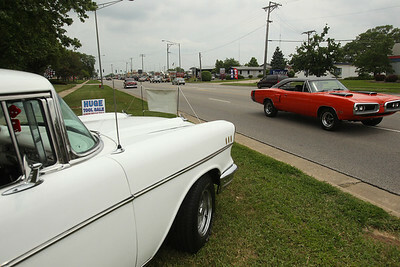 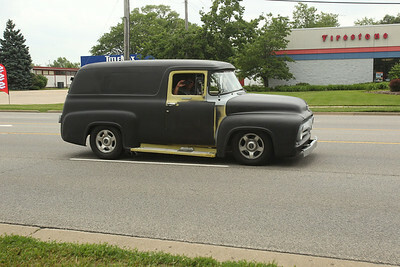 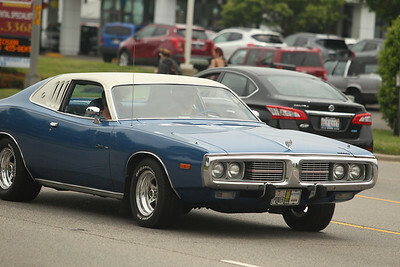 Sarah Nader- snader@shawmedia.com Vehicles on the Hot Rod Power Tour make their way down Route 14 in Crystal Lake Thursday, June 12, 2014. 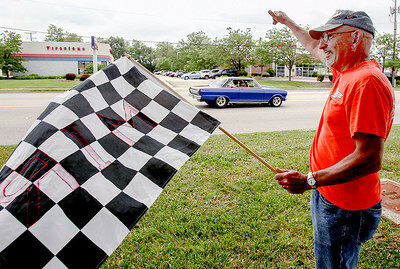 A caravan of over 3,000 hot rods started off in North Carolina and were on their way to Wisconsin Dells while stopping a long the way in seven cities in seven days. 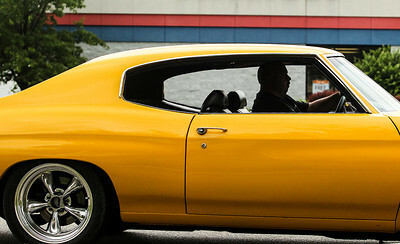 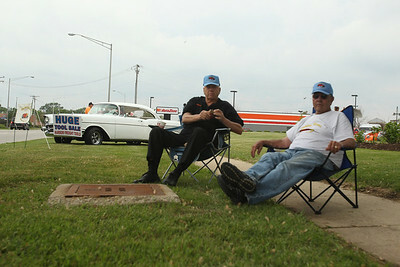 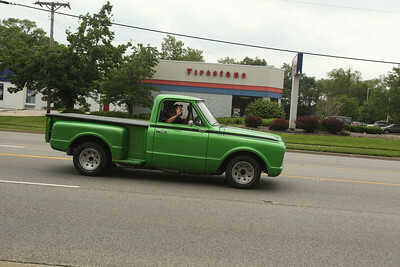 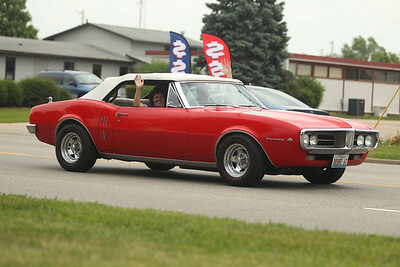 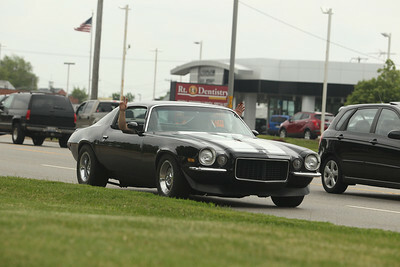 Sarah Nader- snader@shawmedia.com Northern Illinois Streeters member, Fred Blumenthal of Crystal Lake waves to vehicles on the Hot Rod Power Tour while they drove through town on Route 14 in Crystal Lake Thursday, June 12, 2014. 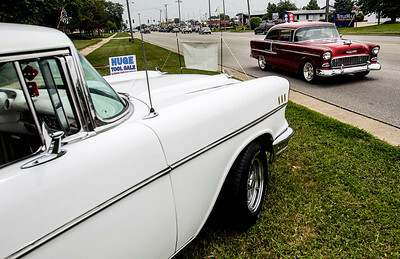 A caravan of over 3,000 hot rods started off in North Carolina and were on their way to Wisconsin Dells while stopping a long the way in seven cities in seven days. 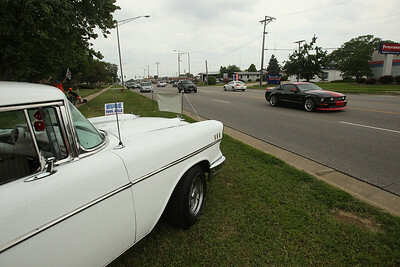 Sarah Nader- snader@shawmedia.com Fred Blumenthal (left) of Crystal Lake, Henry Siers of Lake in the Hills and Craig Zaplatynsky of Algonquin wave to vehicles on the Hot Rod Power Tour while they drove through town on Route 14 in Crystal Lake Thursday, June 12, 2014. 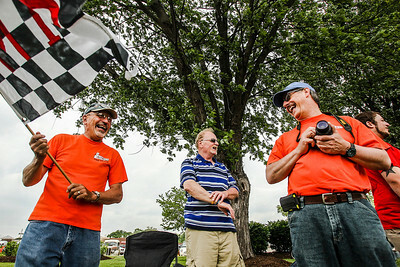 A caravan of over 3,000 hot rods started off in North Carolina and were on their way to Wisconsin Dells while stopping a long the way in seven cities in seven days. 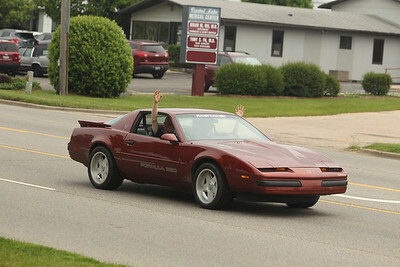 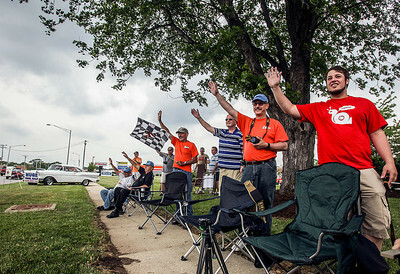 Sarah Nader- snader@shawmedia.com Car enthusiasts and members of local car clubs wave to vehicles on the Hot Rod Power Tour while they drove through town on Route 14 in Crystal Lake Thursday, June 12, 2014. 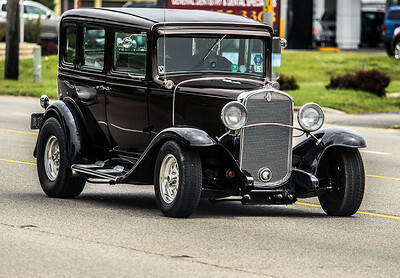 A caravan of over 3,000 hot rods started off in North Carolina and were on their way to Wisconsin Dells while stopping a long the way in seven cities in seven days.